Get going with this majestic and wonderful piece and make your dream attire look richer to your persona. 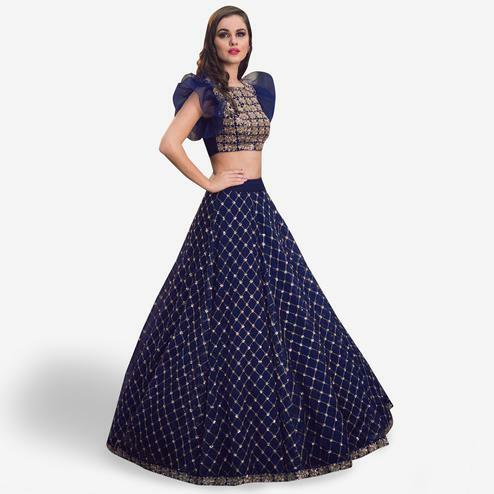 Make the heads flip whenever you dress up in this blue-beige colored netted lehenga choli. Beautified with embroidery, lace, thread and zari work within the dress adds a sign of elegance statement with your look. 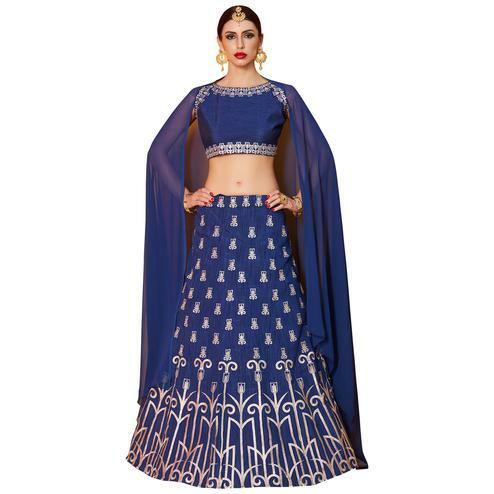 This lehenga is made of net in which santoon inner is attached, choli is made of bangalori silk with chiffon dupatta. Perfect for traditional functions, festivals, wedding functions or engagement ceremonies. Pair it with traditional accessories to make your look more beautiful.